A super cross-section of bicyclists celebrated tonight as SWFBUD announced publicly that we are moving the Bicycle Bash Festival into downtown Tampa on NOV 4. Many thanks to Hillsborough County Commissioner Mark Sharpe; Tampa Councilman Frank Reddick and Tampa Transportation Director Jean Duncan who all offered supportive words to grow bicycling in Tampa and Tampa Bay. Kudos to SWFBUD bike shop Velo Champ in Seminole Heights for playing the role of kind host tonight. 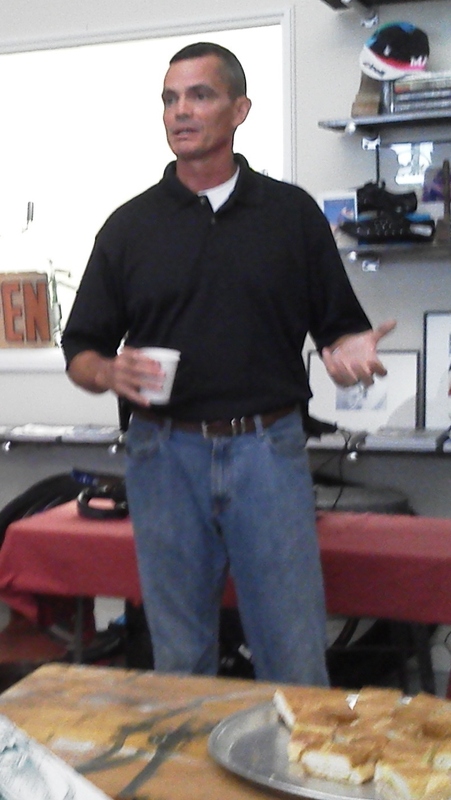 Morgan Gaynor of SWFBUD law firm Mark Roman Law Group also attended. 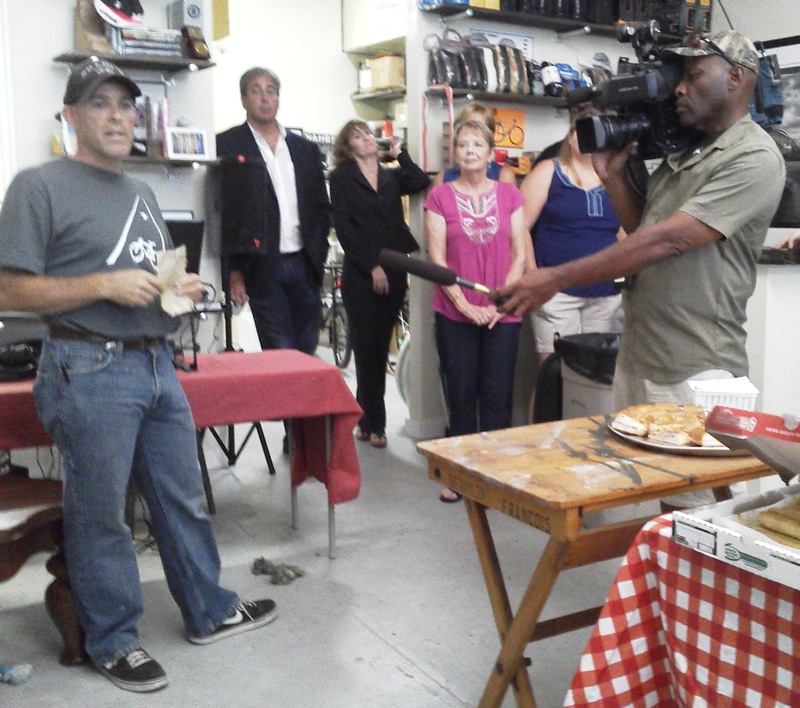 Great bicycle energy and mojo in the room for this mini-bicycle pep rally, and I can't wait to work with people from the city, county and across the Bay to make this Bicycle Bash event the best ever on NOV 4 in downtown. Thank you Papa Johns for pizza, Cold Storage for beer, Mikey's for sandwiches, Buddy Brew for coffee and Microgroove for music for tonight's gathering. By the way, Commissioner Sharpe said he puts bicycles and beer before politics. Councilman Reddick has a bicycle with two flats in the garage but we're going to get him on that bike. And Jean Duncan stayed more than two hours talking to everyone in the room about biking and infrastructure. We can and we will turn Tampa around and make it a first-class bicycle town. Whenever I bicycled on Nuccio Parkway that connects downtown Cass Street to Ybor City I wondered why are there four lanes? How about Tampa close one side and turn it into a wide bicycle/pedestrian trailway? TThe city of Tampa fixed the Columbus Ave. Bridge but where is a bike lane or sharrows or signs advising motorists that bicyclist may take full lane (these lanes are way too narrow and bicyclists have a right to take the lane here). Platt Street Bridge also lacks bicycle markings and signs. So, I bike Critical Mass tonight in Tampa and then stop off at a downtown park called Curtis Hixon Park and there's a few hundred of yoga folks with colorful outfits and mats scattered all around for an event called "Glow Yoga.". But what grabbed my attention was Blue Man Group guy doing warrior, dog and swan dive poses. I thought to myself, wow, Tampa is becoming one funky town to go with its grit. 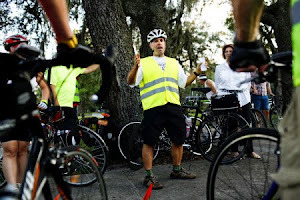 Check out Tampa's critical mass ride tonight. It was great to see By Bicycle and Harry and the other 70 bicyclists or so who pedaled from downtown through Harbor Island, Ybor City and Davis Islands and back to downtown. Well done everyone! Very nice signs, city of Temple Terrace -- outside Tampa. Signs are on southbound 56th Street heading to the Fowler Avenue intersection. 1. The stunning number of motorists who do not use their turn signals here in the Tampa Bay area. 2. When next to these vehicles on my bicycle, it's amazing how ridiculously and cartoonishly big the Escalades, Expeditions, Sequoias, Suburbans etc. are. 3. How no matter what happens the rest of the day, the day is a-ok thanks to that bicycle ride. Tampa is one of the most fascinating bicycle towns in the U.S. Tampa gets hammered for its non-friendly bicycle streets, yet the city ranked NINTH in the country in its bike commuting rate in 2010 out of the 70 biggest cities. That according to the League of American Bicyclists and Darren Flusche, the League's master stats guy who analyed the 2010 census data. There's more. 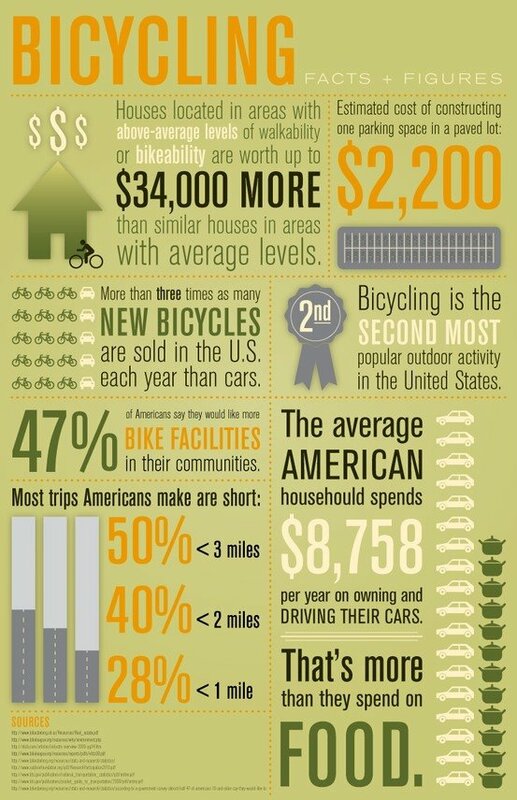 Check out this amazing stat: Tampa's increase in bike-commuting in 2010 from 2009 soared by a whopping 121 percent. Tampa's place as a TOP 10 bike-commuting city is stunning when you realize the League did not award the city a "bicycle friendly community" award like it did the other nine in the Top 10. Tampa's bike-commuting rate is higher than noted bicycle towns such as Austin, Tex. and Chicago. Portland is a Platinum winner, Seattle, SF and Minneapolis are Gold winners. Wash DC got silver, Tucson got gold and Sacramento got silver. Denver got bronze. Tampa? Zippo, even though Tampa had a higher bike-commuting rate than noted bicycle towns such as Austin, Tex. and Chicago. 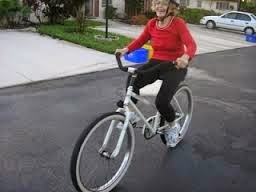 Hard to blame the League for not recognizing Tampa as a bike-friendly town when ex-Mayor Pam Iorio actually removed a planned bike lane from a local city street. But Tampa is improving and I applaud terrific road improvements for bicyclists on 40th Street, Nebraska Avenue, Noth Boulevard and sharrows and more bike lanes showing up on local streets like Swann Avenue. The bad news is that Tampa also got left out in the cold in Bicycling Magazine's Top 50 bike towns. Orlando was 34, New Orleans was 43, Orlando was 49 and Tulsa, OK came in at 50. Tampa was shut out. SWFBUD is trying to help. We are moving the Bicycle Bash Festival into downtown Tampa on NOV 4. Come to a Bash Announcement Party next Tuesday on July 31 when we talk about the move to downtown Tampa and have local elected leaders and agency officials on hand. For years, Hillsborough County has been planning to connect the Upper Tampa Bay Trail and the Suncoast Trail. One section of this connector trail runs through the swiftmud water district land. But an eye doctor with Ironman ties -- Dr. Gills -- is pressuring county commissioners to get staff to move the trail inside the water district lands because he said the trail is too close to his property in north Hillsborough County. SWFBUD feels strongly that the county commissioners need to advise Dr. Gills that this project has been in the works for year and that it's inappropriate to change the trail alignment now. Plus, it would means thousands of dollars of more costs -- or possibly even losing funding -- and changing the trail route in the water district land would mean it would delay the project by a year or two. PLEASE WRITE YOUR HILLSBOROUGH COUNTY COMMISSIONERS and use this sample letter as your guide. It has come to my attention that a private landowner in north Hillsborough County who is an eye doctor and has connections to the Ironman event, Dr. Gills, has contacted you regarding the alignment of the connector trail on public Swiftmud water district land that is part of the project to link the Upper Tampa Bay Trail with the Suncoast Trail. This connector trail project has been in the works for many years and is ranked as the top regional trail priority. I have been informed that this property owner is seeking to influence Hillsborough County -- just months away from starting connector trail construction and after years of planning -- to change the alignment of the trail inside the water district lands owned by the public. I understand he has met with some of you with his lawyer. SWFBUD and the thousands of bicyclists in Hillsborough County and Tampa Bay that we represent through our bike shops are asking you to please respectfully inform this landowner that it is inappropriate to alter the route of this trail in a public right-of-way on public land at the eleventh hour. I understand that any change to the route of the trail in the Swiftmud land would cost tens of thousands of dollars in new expenses for the public and potentially even jeopardize funding, Plus, changing the trail route through the public water district land in this late hour would delay the project by a year or two. Please inform this landowner that public amenities such as trails INCREASE property values of neighboring properties, will be a major benefit for the public that you serve and that Hillsborough County needs to proceed with this particular trail section on public water district lands as soon as possible. Water Break At The Sugarloaf Mountain Peak Outside Clermont, Fla. If you have biked in the Florida Alps, then you have biked up Sugarloaf Mountain Road and paid a pitstop at the water station that is furnishe at the top by a wonderful couple with a Tampa connection. I was there this weekend and it was nice to renew the tradition of filling the water bottle at the end of the driveway at the top of Sugarloaf Mountain Road. Folks, you worked hard to delay the demolition of the Friendship TrailBridge but there's more work to do -- advise the Hillsborough County Commissioners at a budget hearing Thursday night at 6 PM to place a proposed referendum on the November ballot that includes a new Friendship TrailBridge, a connector trail between the Suncoast and Upper Tampa Bay Trails and a segment of the proposed South Coast Greenway. If you ride a bicycle, please speak up and let your voice be heard at 6PM Thursday at the County Center, 2nd Floor 601 E. Kennedy Blvd. 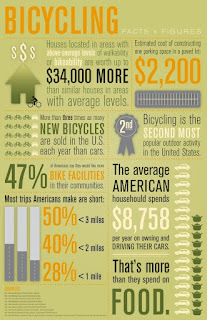 The many benefits of bicycling -- thanks Interbike. I'll be there in Vegas in September. If you believe SWFBUD has been a strong voice for bicyclists in Tampa Bay and have increased the profile of bicycling in our area, then thank a SWFBUD bike shop or SWFBUD lawyer. 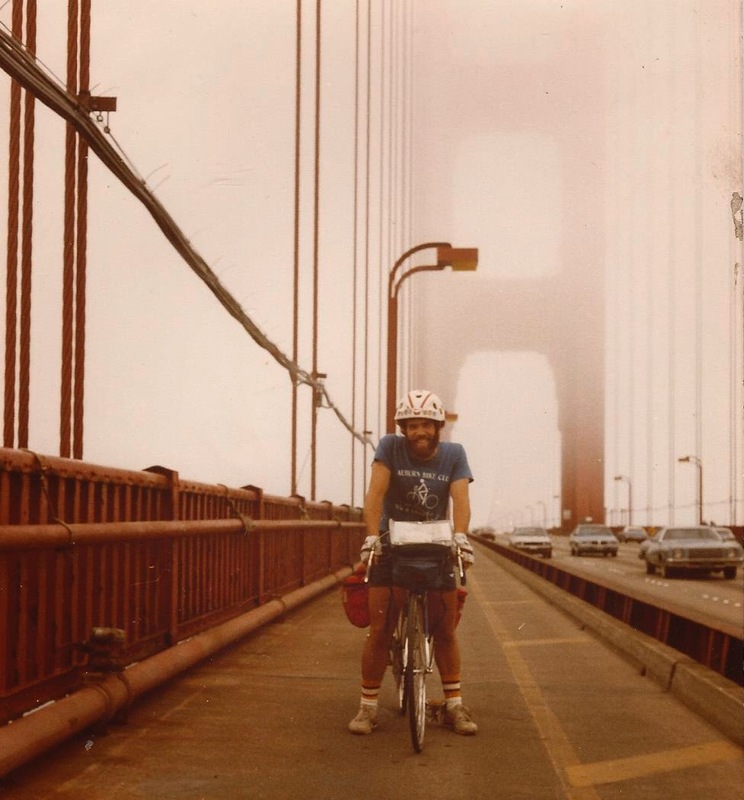 Ten SWFBUD bicycle stores and three bicyclist-lawyers pay me every month to represent their collective voices to show our elected leaders and government agency officials that bicycling needs to be valued as an essential part of our community. We hold the annual Bicycle Bash Festival to celebrate bicycling in Tampa Bay, attend dozens and dozens of meetings to make sure bicyclists' voices are heard and work behind the scenes to write emails from everything from asking the DOT to clear debris from the Gandy Bridge shoulder to asking Tampa officials to hold a ciclovia event in conjunction with this year's NOV 4 Bicycle Bash in downtown Tampa. -- Mark Roman Law Group of Clearwater. These folks pay the freight to allow me to do bicycle advocacy on your behalf. Please take the time to thank these folks by doing business with them. Out of the efforts to delay the demolition of the Friendship TrailBridge grew a proposed list of park projects crafted by Hillsborough County Administrator Mike Merrill. He included the TrailBridge, and trail segments of the South Coast Greenway and the connector trail between the Suncoast Trail and Upper Tampa Bay Trail. Merrill has floated the idea of the county commissioners placing this $85 million package before the Hillsborough County voters on the Nov 6 ballot. SWFBUD supports letting the people decide on these projects, including building a new TrailBridge and trail segments that are badly needed and have been proposed for years and years. I suppose technically it's a trail. But at three-tenths of a mile it takes about three minutes or so to bike it. It's a new trail that intersects Palm Avenue in Tampa Heights and runs along the shadow of a I-275 exit ramp into downtown Tampa. The trail leads into a neighborhood that kinds leads into the edge of downtown. The nice thing is that the trail does lead north to a gorgeous community gardens in Tampa Heights. On one hand it's Tampa, so a foot of paved trail is nice and a pleasant addition to the local landscape. On the other hand, we need to have higher expectations than celebrating a trail that runs less than a half-mile. Tampa needs a trail system that allows people to travel from one section of the city to another. Let's just Tampa has a whole ways to go before we can throw a parade. This month represents two years since retired Adm. LeRoy Collins was killed while riding his bicycle in the city of Tampa early one late July morning. A ghost bike was installed at the street corner under the Selmon Expressway where he was killed by a motorist. 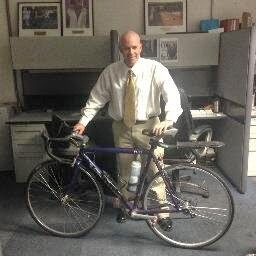 If you're a bicyclist in Tampa, do you think it's gotten better, worse or stayed the same to ride a bicycle in the city? I am writing to request more of a police presence on Bayshore Blvd. On 7/7/12, I was riding my bike in the designated bike lane and was continually "buzzed" by cars, blatantly disobeying the speed limit. At the point on Bayshore when the bike lane ends, I was honked at, yelled at, had things thrown at me, and one driver even tried to knock me off my bike with their car! In addition VERY FEW motorists observe the "3ft." rule, continuing Bayshore Blvd. to be a dangerous option for cyclists, in spite of your wonderful efforts to change this. 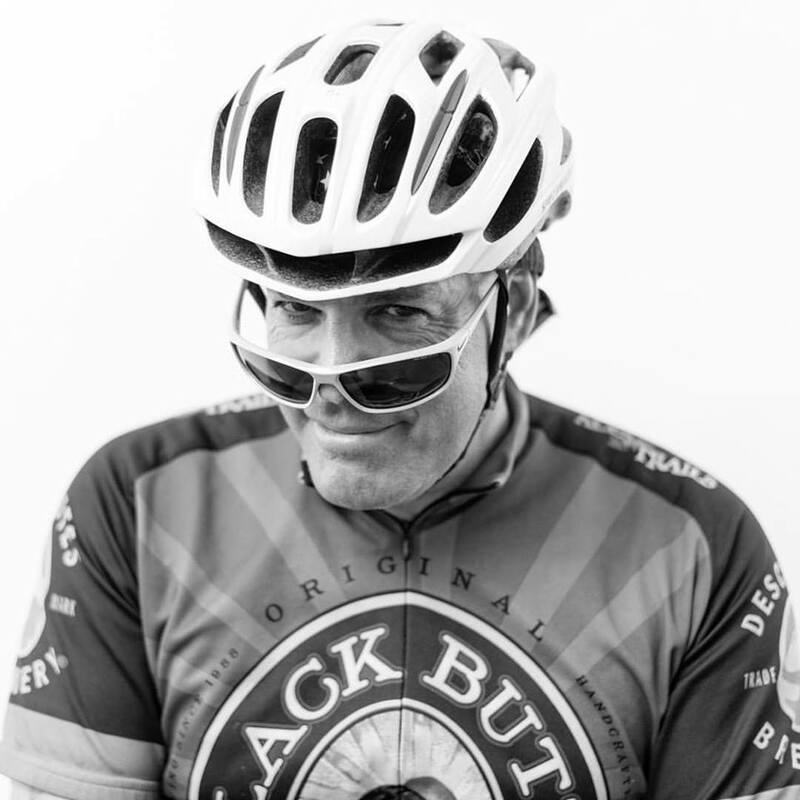 I will also add, I am a conscientious, and aware cyclist, always obey all road rules and never ride offensively. By having more of a police presence on Bayshore Blvd. hopefully motorists will obey the posted speed limits. Also, officers who are on traffic control assignment should be educated on the 3ft. rule and be encouraged to enforce it, by citing motorists who do not obey it. 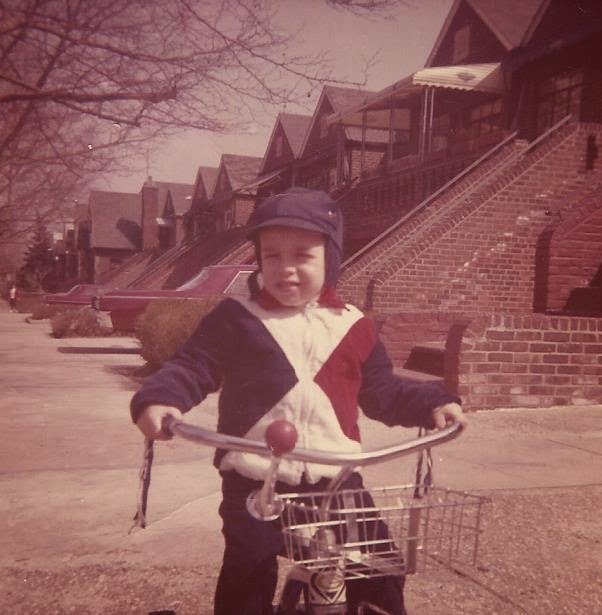 Unfortunately the events of the 7th are not the first time I have encountered behavior like this, but I am frustrated fearing for my safety while exercising my right to use the city's road ways to ride my bike. Thank you very much for your time and attention, I greatly look forward to your response. But not his will to bike. On the first Saturday of every month for the past 3 1/2 years, I have been leading a slow, easy 6-mile bike ride through Seminole Heights and today's ride was as enjoyable as the first one way back when. Ten bicyclists pedaling all types of bikes hit the tree-canopied streets of Seminole Heights. This is the perfect bike ride for folks who want to be introduced to riding the streets of Tampa but who might be a bit hesitant or scared. Fear not, pedal Seminole Heights and enjoy bicycling in your city. I am happy to announce that SWFBUD is moving our annual Bicycle Bash Festival into downtown Tampa, with the city of Tampa our co-sponsor and ISM Saddles our presenting sponsor. It will be NOV 4 from 10 am to 4 pm at Cotanchobee Park next to the Tampa Bay Times Forum. Polar Bottle and American Traffic Solutions are other Bicycle Bash sponsors. Many more details to follow. If you want to be a vendor at the Bicycle Bash, please email me at alansnel@yahoo.com. One of the issues of biking across the Gandy Bridge on its shoulder without any Friendship Trail Bridge between St Petersburg and Tampa is the shoulder seems like it's always littered with garbage, debris, glass, pieces of metal and junk. Here my friends Nereia and Jason bike on the St. Pete-bound side of the Gandy Bridge and you'll notice pieces of a discarded door litter the shoulder.